`S e `s prìomh amas làrach-lìn na Drochaide Eadarainn cultar agus beul-aithris Ghàidheil na h-Albann Nuaidh a chuir mu choinneamh luchd-ionnsachaidh, `s eile, mar a bh’ann `s na ceàrnan seo bho shean. Cha bhitheadh comas air An Drochaid Eadarainn ann as aonais a' chaoimhneis `s taice a fhuaireadh aig uimhir do dhaoine a tha air a bhi làmh an sàs innte gu dìleas bho thoiseach gu ceann. Tha sinn gu mór `nan comain uileadh. Nise, trobhad astaigh. Bidh do chuideachd `ga measadh luachmhor. 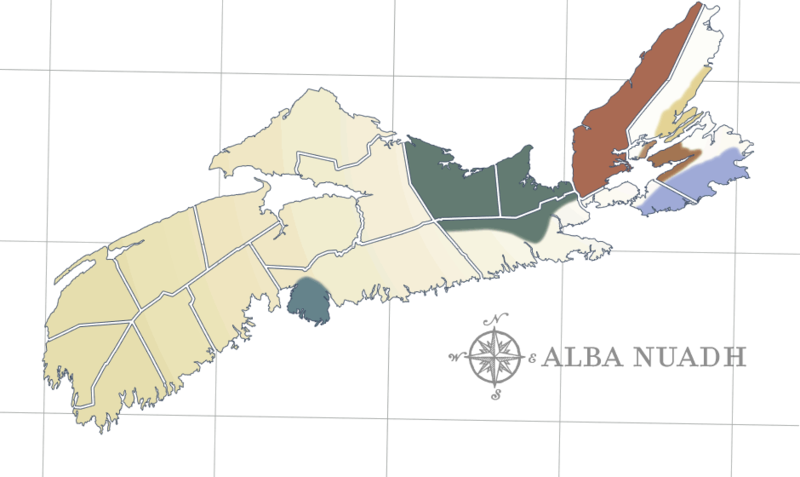 The primary objective for The Bridge Between Us is to present Gaelic Nova Scotia's traditional Gaelic cultural expression and tradition as it has been authentically known. The Bridge Between Us could not have been built without the generosity of the many who have faithfully contributed from beginning to completion and to whom we are deeply indebted. Now, come in. Your company will be much appreciated.